While addressing the activists of the Peoples Democratic Party (PDP), Mufti said that new conditions would have to be worked out if India does away with Article 370. Srinagar: Former Jammu and Kashmir chief minister Mehbooba Mufti on Saturday warned the government against the scrapping of Article 370 saying if it does so, the state will be forced to think upon its ties with India. While addressing the activists of the Peoples Democratic Party (PDP), Mufti said that new conditions would have to be worked out if India does away with Article 370. 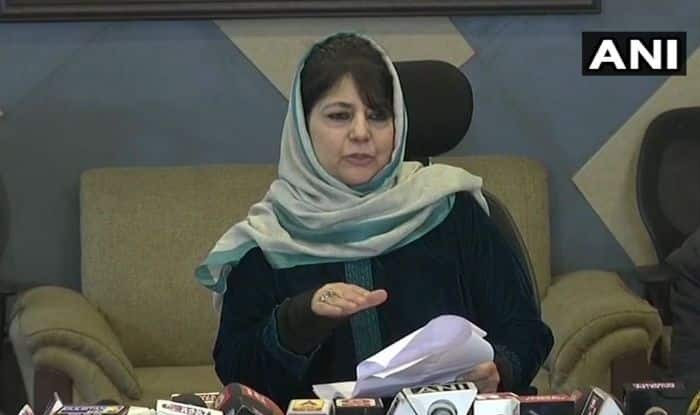 “If you break that bridge (Article 370), then you will have to renegotiate the relationship between India and Jammu and Kashmir,” Mehbooba Mufti said. Mufti’s response came after Union Finance Minister Arun Jaitley had said that Article 35A was constitutionally vulnerable and was an impediment to the economic development of Jammu and Kashmir. Speaking on the same lines, former union minister Saifuddin Soz had also said that ties between Kashmir and India will be severed if Article 370 is scrapped. “If it’s (Article 35 A) is attacked then I don’t know which flag the people of J-K will be forced to pick up instead of the tricolour,” she had said. The voices seeking that the contention article is revoked have grown louder since the February 14 Pulwama terror attack. Article 370 and Article 35A of the Constitution provide special status to Jammu and Kashmir.